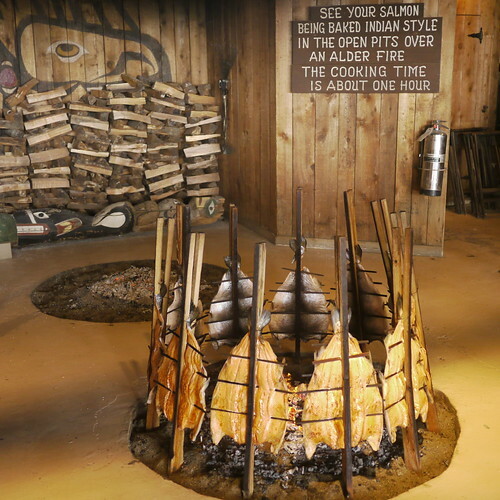 Tillicum Salmon Bake, originally uploaded by Eric Jeschke. Sounds yummy! Did you buy or taste any of it? Yes, I did have some of that salmon. They have a big buffet in a rebuilt northwest indian long house, with some accompaniment of native american dances in costume. You take a ferry over to Blake island from Seattle. I enjoyed the experience.